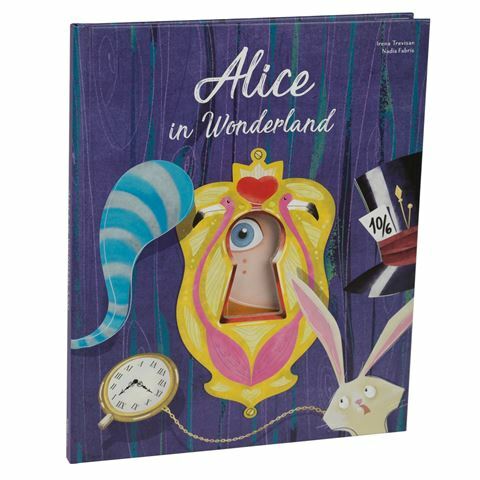 The fascinating story of Alice in Wonderland just became even more intriguing with this special die-cut presentation by Sassi Junior’s Irena Trevisan and Nadia Fabris. Amazing story of Alice in Wonderland told through die cut inserts. Dimensions: 23.2cm (l) x 28.2cm (h) x 1cm (w).